Have you ever tried on clothes – without finding a good choice? And then “ta da” – you put on THE ONE. That’s how I found this black peasant top and soft jeggings outfit. And I heard, well, I think I heard, music in the dressing room when I put this on. It might have been the loudspeaker at Walmart – but I did hear music. 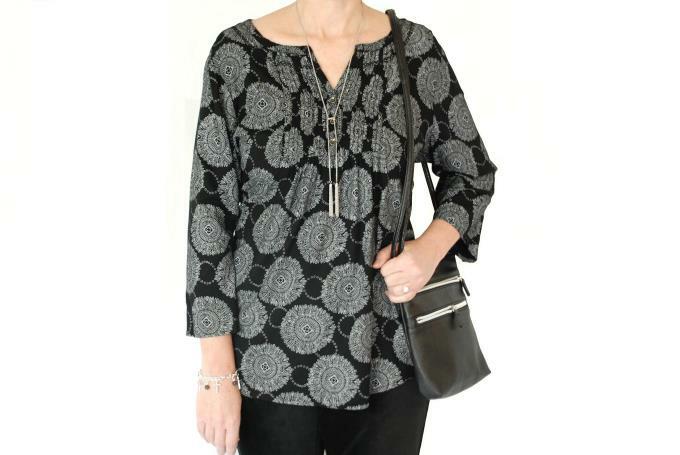 I love this lightweight black top. It was so comfortable and easy. I liked the pattern of the material, the length, and cut of the top. 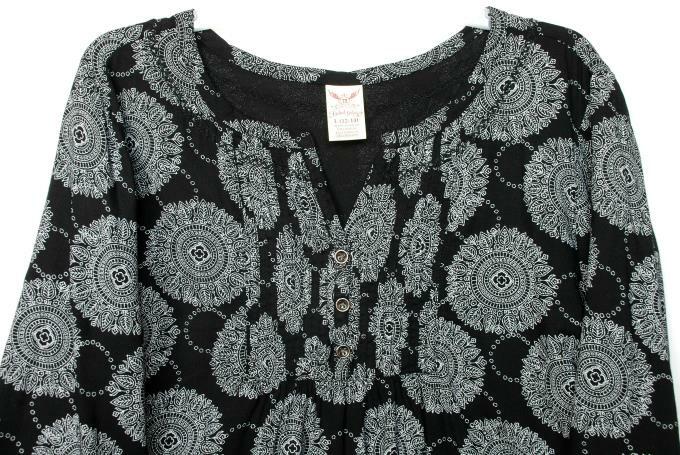 It has 3/4 sleeves and is made of rayon (dry cleaning). “Jegging” pants combine Denim and Spandex. So they fit like leggings but the velour and knit material are very SOFT. Maybe I should call mine soft-gings? 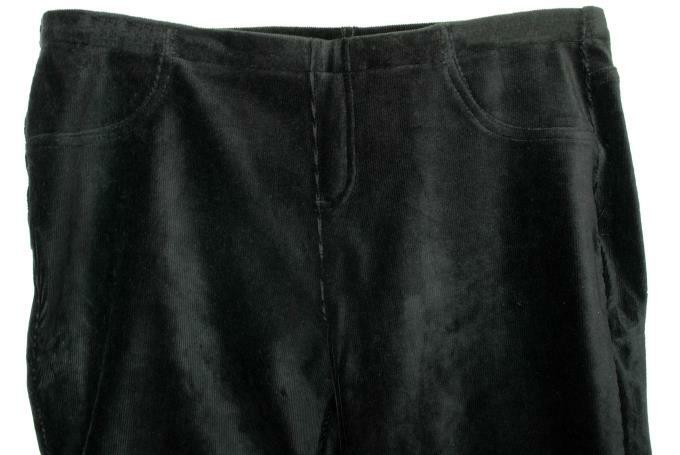 This soot black velour fabric helps the top stand out. But you can find faux leather ones and some that look like jeans. These are sweet little flats. I really liked how they were crocheted to have the lace-type detail around the edge. And they’re comfortable. This handbag goes well with many of my outfits. 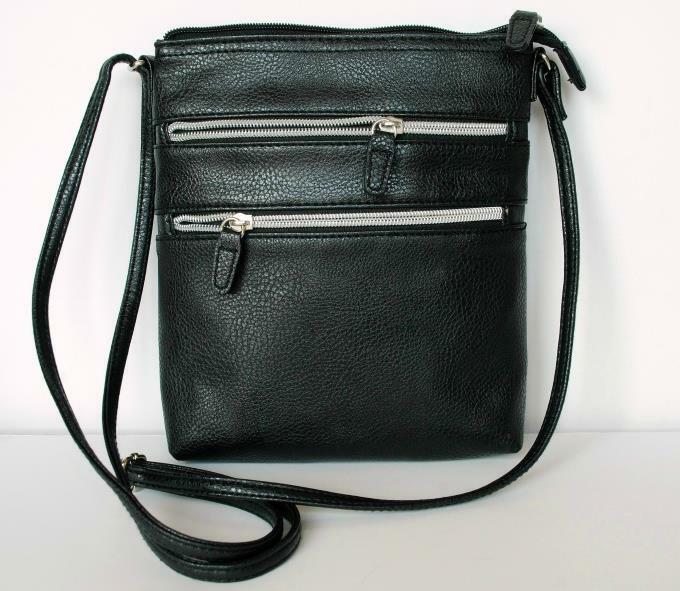 It has an adjustable strap and zipper compartments. The different crosses on the bracelet are so pretty. This Y necklace worked nicely with the top. It hangs down at just the right spot. I know I’m going to hear music every time I put this on.